The Gallery Module is used to display a gallery of images from either the WordPress media library or a SmugMug gallery that you specify. 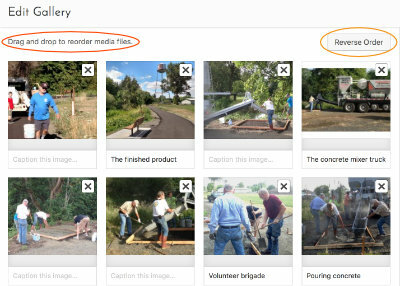 Choose the Collage layout to display images in a mosaic. Choose Thumbs to display thumbnails of the images in a grid. There is an exception to the lightbox ordering for collages. In this case, the lightbox sequence goes down the first column, then down the second column, and so on. 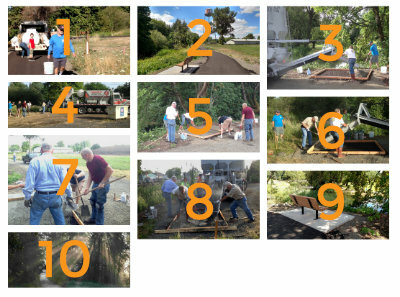 For example, the lightbox order for the collage shown in the first screenshot is 1, 4, 7, 10, 2, 5, 8, 3, 6, 9. Click Share and then choose Get a Link > Feed Links.